The City of the Angels started out as a very quiet mission town. It is anything but that today. 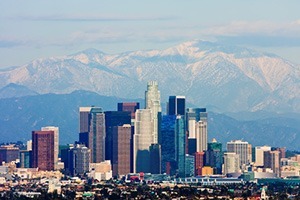 Los Angeles is one of the largest metropolitan areas in the world. The landmass covered by the city and its suburbs is enormous Los Angeles is the dream factory not just because of Hollywood. This is a metropolitan area which holds immense opportunity. People are moving into this area to take advantage of what is there, and this includes thousands of immigrants to the United States. Los Angeles is an urban area with its own unique challenges. Many times a group legal plan is needed to help sort through everything. Modern society can be exciting and frustrating all at the same time. Real estate agreements and contracts in Los Angeles can become extremely creative. It often requires a legal expert to go through the words. Interpreting the language is a pre-paid legal services option that a good group legal plan will provide. Often employees are trapped in credit card debt, which they cannot seem to get out of. Having a financial wellness counselor serve as a guide through the mess can be deeply appreciated. Countrywide Pre-Paid Legal Services offers both group legal plan benefits and financial wellness programs for the consideration of Los Angeles employers. What makes these benefits stand out is that they are readily usable by working people. Our financial wellness program includes help with college debt; something millennials have to deal with constantly. We also help older employees draft wills and medical power of attorney documents. These will give peace of mind to the individual plan member but also to the person's family. Employee benefits always look good on paper. The design of the plan is usually very well thought out with an attention to detail. The proof of a good group legal plan is in the service provided. It is not just help with warranties but the secondary activities that means so much. This includes face-to-face consultations, letters written on behalf of the client, and an unlimited number of telephone calls a given subject. These are part of the pre-paid legal services which Countrywide provides in addition to the major options. We have a network of attorneys and financial wellness counselors ready to be of service. They are not miles away but close by. Any Los Angelino can get a hold of one of our lawyers if help is needed. We expect both our attorneys and our counselors to show the human touch. People sometimes are embarrassed to ask for service and Countrywide respects their feelings. Empathy and courtesy are all part of the package. This means that plan members are more willing to ask for help and make use of a Countrywide benefit. Employers prefer benefits that are a good fit with the workforce. Countrywide helps make this happen by allowing decision-makers to choose. A client may decide that a certain option is needed in a financial wellness program while other clients do not. That is fine with us. If one or more pre-paid legal services options does not fit well with the staff, we will not dispute that. It is what the client wants which will be in the final plan document. Los Angeles is a city of great size and amazing possibilities. People from all over the world have come to it and have made successful careers living there. Countrywide wants to be supportive of any client. We offer the kind of benefits that will help organizations keep their employees, and encourage them to be highly productive. We would welcome the opportunity to speak with you further about what we have to offer in legal help and financial wellness. Please do feel free to get in touch with us and ask questions about any of our benefit offerings.